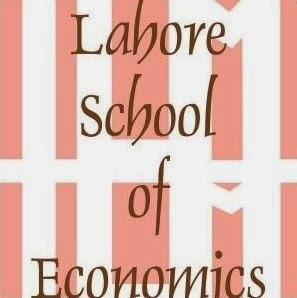 Mr. Salim Ghauri - CEO Netsol, was invited to The Lahore School of Economics on 22nd February, 2018 as part of the Distinguished Lecture Series Program. Mr. Ghauri shared his experiences of being a successful entrepreneur. Sharing his personal journey from a petroleum engineer to a successful tech guru, he highlighted the fact that one must not be afraid to take risks in life and try new and different ideas for businesses. Mr. Ghauri advised the students that failures at the start of a career should not be taken as discouragement rather goals must be set for future. He explained that a company is recognized by its employees and that is their strength, therefore, the clients must be dealt with personal attention. Furthermore, he explained that the key to success is to grab every possible opportunity. Mr. Ghauri also stressed on continuous personal development as an entrepreneur and keeping up with the evolving trends, using Nokia as an example. He said that entrepreneurship is a risk and told the students not to get discouraged by failures. Mr. Salim Ghauri’s powerful lecture was a great lesson on how to become a successful entrepreneur in Pakistan. Are All Pakistani Textile Firms Innovative?